Mom’s Rotisserie Chicken is a blast from the past – at least it is for me, my brothers, and my sister. Back in the ‘60s my family lived in the suburbs of Minneapolis (Golden Valley and then Edina). Mom and Dad installed an outdoor grill powered by natural gas, and they grilled year-round. Mom did most of the grilling in the summer, but Dad would bundle up and go out in the snow in the dead of winter to grill steaks. On Sundays, Mom would often go to early Mass, return home, and put a chicken or two in her marinade. (She often made two chickens. Our family of six would make short work of one of them and the other was used for leftovers.) When it was time to cook the chicken, she would put it on the rotisserie rod and cook it on the grill. It always cooked to a dark ebony color and was moist and flavorful. We called it Rotisserie Chicken and I never got tired of it. I recently found Mom’s hand-written recipe for the marinade and decided to give it a try. I don’t have a rotisserie on my grill, but years ago Mom gave me an electric vertical rotisserie. 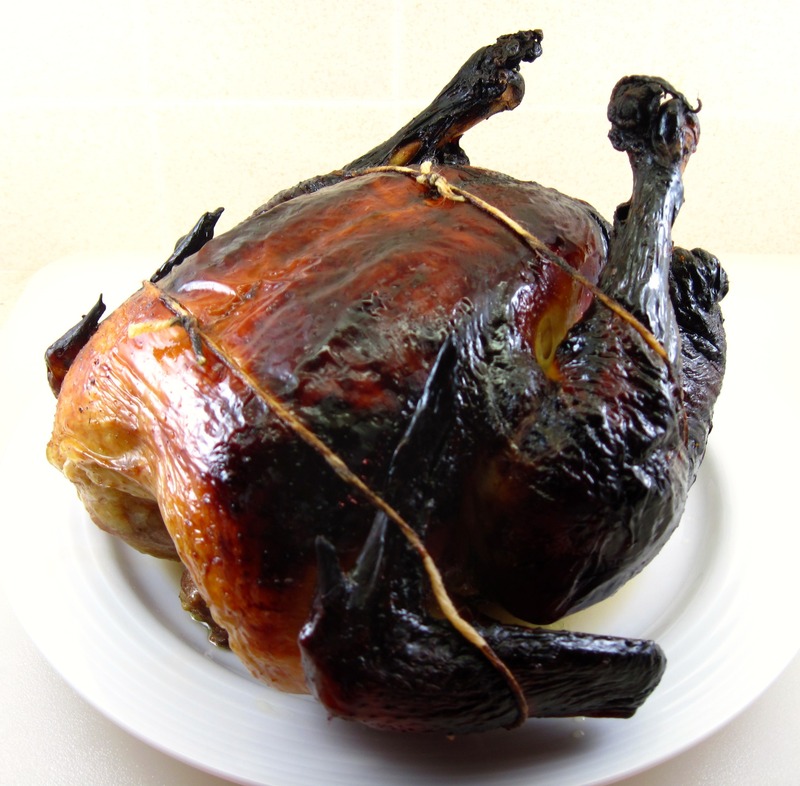 It might have turned out a bit better on a grill, but my electric rotisserie produced a chicken that was the same dark ebony color that I remember, and it really was quite good. 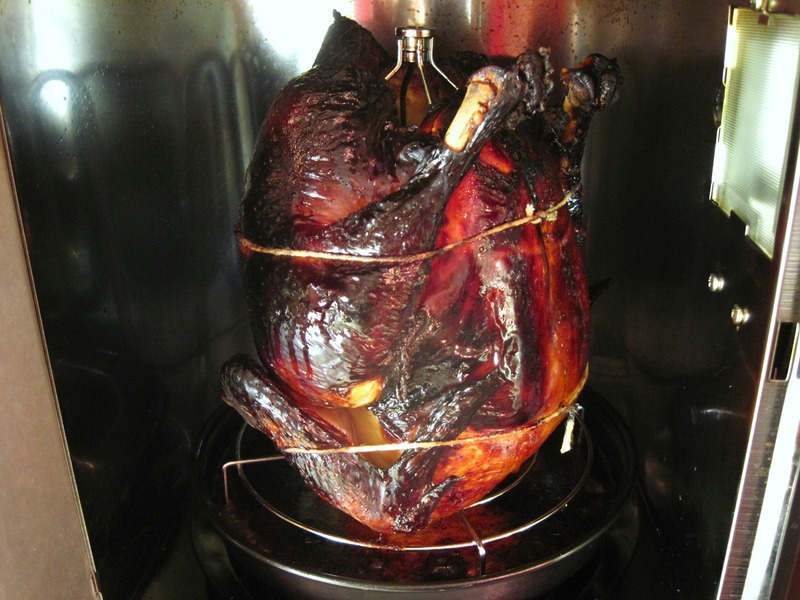 Bob says that the rotisserie is kind of a pain to clean, but the chicken is excellent so it’s worth it! 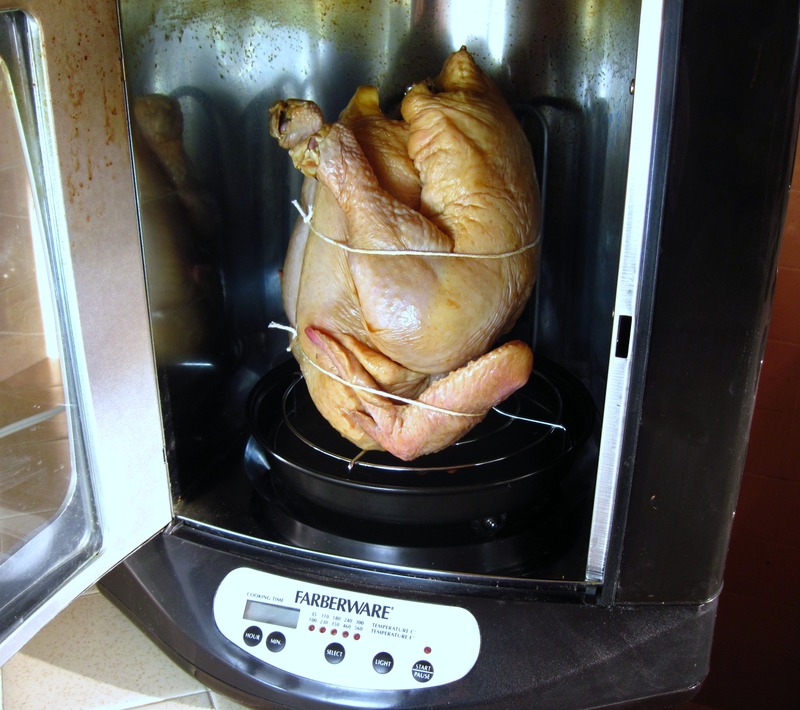 In the rotisserie – the chicken is done! If you don’t have a rotisserie, you could marinate the chicken and roast it. I would put it on a rack so the skin can get crispy and start it breast-side-down at 425˚ for 20 – 30 minutes. Reduce the heat to 375˚; turn the chicken over and continue to roast until it is done. Timing will depend on the size of the chicken, but total time should be about 1½ – 2 hours for a 4 – 5 pound chicken. 1. 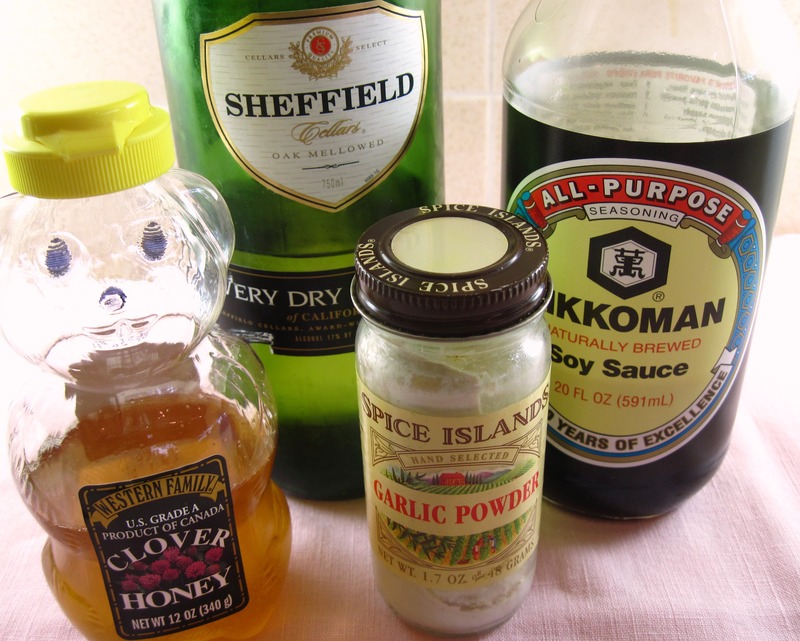 Combine all of the marinade ingredients. I used my Blender Bottle to mix the marinade. It’s super fast. 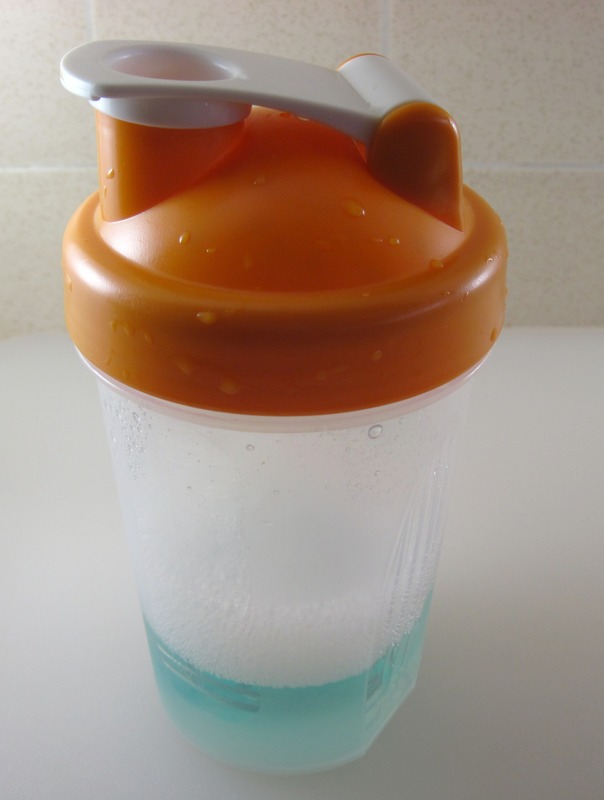 When finished, just put some hot water and detergent in it and shake to clean (as shown in photo). Mom would have loved this simple gadget! 2. Put the chicken in a large zip-loc bag and pour in the marinade. 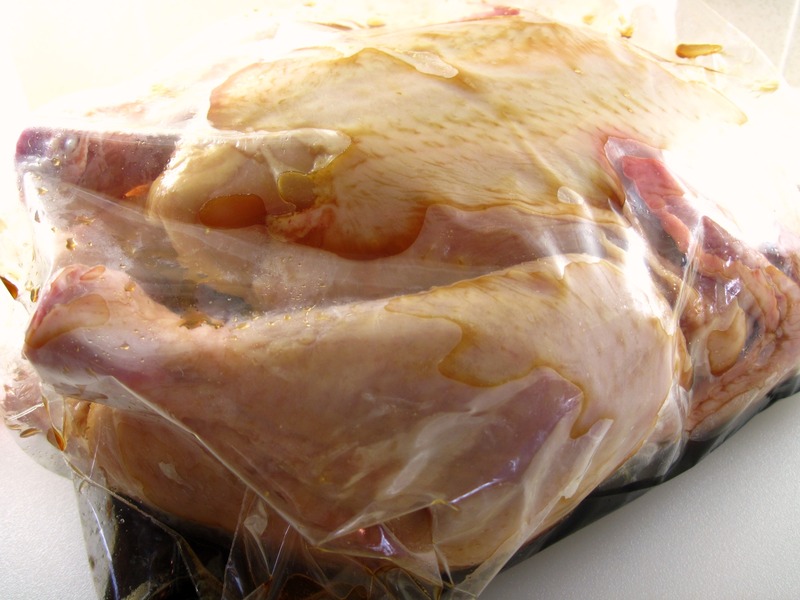 Refrigerate for 6 – 8 hours, turning the chicken over occasionally during the day. 3. Cook the chicken on a rotisserie according to the manufacturer’s directions, or roast it in the oven (see note at the beginning of the recipe). My 5.5 pound chicken took 1 hour and 50 minutes in my electric rotisserie. I always liked the name “dancing chicken” better…. Mmmm that marinade looks yummy! I may have to try it on just some chicken pieces. That would be delicious! You could roast them or have Byron grill them on your BBQ. Kath, that’s GORGEOUS! What a neat recipe. We’ll be trying this one. Love this! I have a rotisserie and we usually use sour orange marinade..we juice up the chicken and throw it in and voila! This is a wonderful variation! Love to try it! The sherry is very interesting! Love the Soy for color! Great! Dont ya love finding those old handwritten recipes??? Just makes you say awwwwww! I love it! 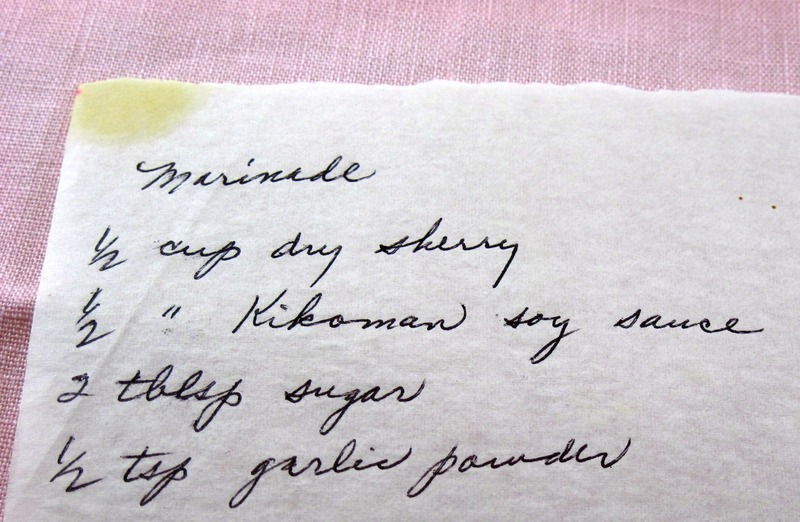 Yeah, it’s really fun to find old hand-written recipes! Thanks for your comment, Laurie! Look at that color. It looks beautiful! Wow, that looks like one delicious chicken! Family recipes are wonderful, especially the hand written recipes. The chicken looks so good, and I’m sure brings bake many memories for you. Mu Aunt had on of those counter top rotisseries, and such a pain to clean. If you don’t have a rotisserie on your grill, have you ever had “Beer Can” chicken. 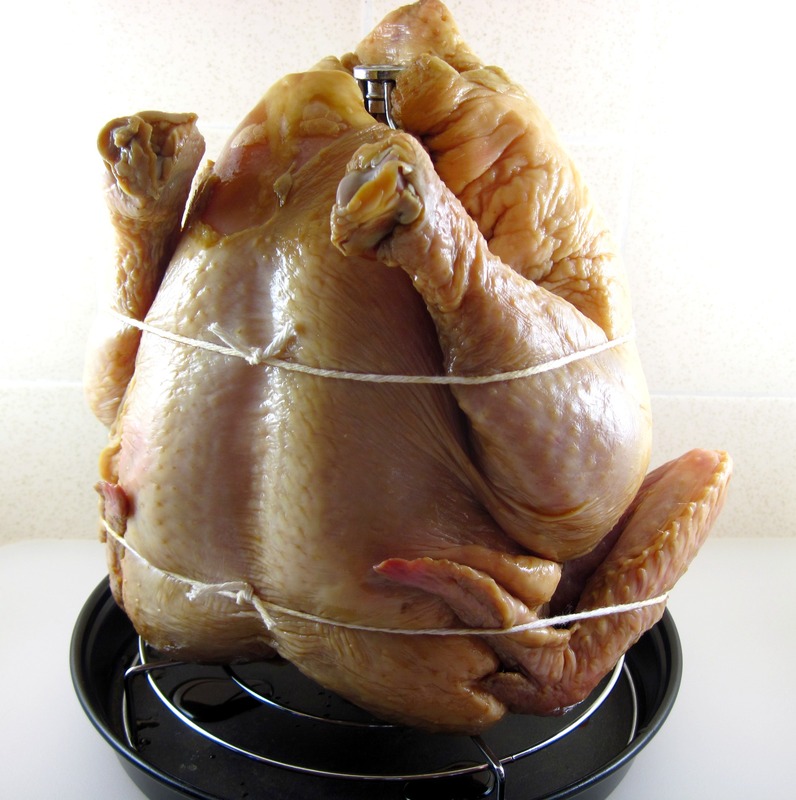 You can buy a beer can chicken holder, that grills the chicken upright on the grill or oven http://bbq.about.com/od/chickenrecipes/r/bl50727a.htm check it out. Oh wow! I am psyching myself to roast a chicken one of these days! This is great inspiration! Try it, Sarah! It’s really not hard to roast a chicken. Oh yum! My grandma made the very best chickens…similar to this! I love that you still have your mom’s recipe. So precious. Thank you for sharing this delicious bird. I hope you have a beautiful weekend. Thanks for getting mine off to a tasty start! Thanks, Monet! Family recipes are great, aren’t they? Thanks for sharing! Nothing beats a recipe that is proven with years of family history.